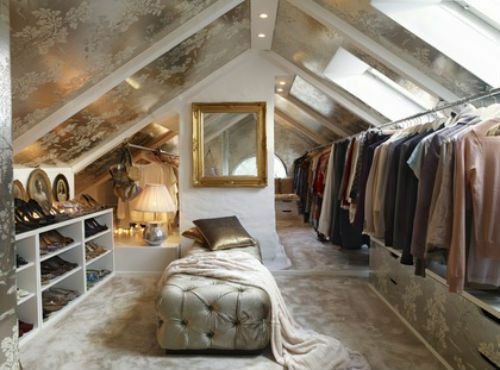 Attics are used far more frequently for storage space than for living space. So if you have a partially finished space that you’re wondering what do with, why not consider converting it into a walk-in closet? Hanging bars and shelves fit perfectly into the eaves. Meanwhile, you walk down the center of the attic without crouching while deciding what to wear.